A blog about Code Builders, MyBusiness, and other software development topics. We have completed the update to our CodeBuilders.net website. The new update is based on our lastest MyBusiness version 2.2.3.x. We are excited about this new release because it is a "Mobile First" user interface based on Bootstrap, the most popular HTML, CSS, and JS framework for developing responsive, mobile first projects on the web. Using this new user interface framework allows us and all of our MyBusiness clients to maintain one website codebase for desktop and mobile web browsers. You may ask why mobile is so important. 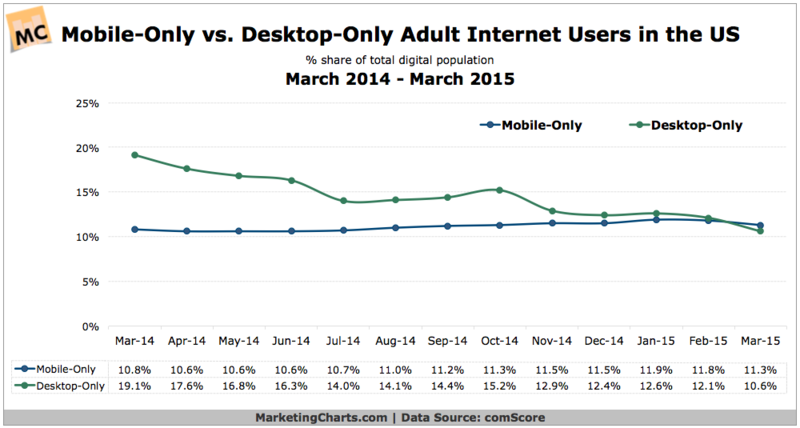 According to MarketingCharts.com Mobile-Only internet access has surpassed Desktop-Only usage and desktop-only is trending down meaning more and more users are using mobile devices on the internet. Feel free to tryout our website on your phone or tablet (if you're not yet one of the mobile-only crowd) and see the results. We look forward to upgrading our existing clients and also welcoming new ones into the MyBusiness family in 2016. For more information about our MyBusiness platform see our MyBusiness page. January 11, 2019 by Carl | mybusiness, bootstrap, mobile | 0 comments.